Deleting a recurring series of Task in LEX deletes the completed tasks in that series as well however in classic completed tasks are retained. Deleting a recurring Task series in LEX deletes the completed tasks in that series as well however in classic completed tasks are retained. Customers may observe that the Reminder Set value is incorrect on recurring monthly tasks. Rather than reflecting the Due Date value they reflect the 1st of the respective month. Validation Error encountered when saving records via Lightning quick action: "Required fields are missing: [(Field Name)__c]"
Attempting to complete task in activity timeline throws error: There was a problem updating this task. You no longer have permission to change tasks. 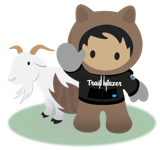 Some customers may encounter the following error when clicking on the Completed checkbox for a task in the Next Steps section of the Activity Timeline: There was a problem updating this task. You no longer have permission to change tasks. When using Lightning Preview, attempting to access the 'view all' function in the activity composer will throw an error: Sorry to interrupt You can't view this page, either because you don't have permission or because the page isn't supported on mobile devices. When viewing the Activity Timeline on a record in Salesforce Lightning Experience, some customers may have observed that in certain situations, one activity record may be displayed multiple times in the timeline, after clicking on the "More Steps" option.